Governor-elect Charlie Baker on Friday named a veteran mental health administrator and child protection advocate to lead the state’s sprawling health and human services secretariat. 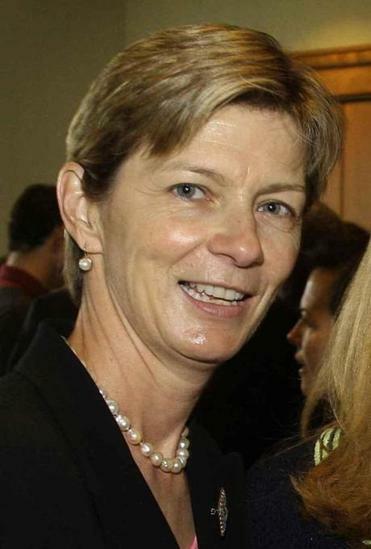 Marylou Sudders, commissioner of the state Department of Mental Health from 1996 to 2003 before taking over as president of the Massachusetts Society for the Prevention of Cruelty to Children, most recently has led Boston College’s health and mental health graduate program. As head of the Executive Office of Health and Human Services, Sudders will lead a $19.4 billion agency, nearly three times the next largest in state government. Her agency will implement the Affordable Care Act and cope with the aftermath of several tragic deaths of children under the care of the Department of Children and Families. Baker has now announced three Cabinet secretaries, all of whom, like his chief of staff selection, have state government experience. Among them, Sudders, 60, who Baker’s transition team said is not enrolled in a political party, is perhaps the best-known figure on Beacon Hill. She has served in and around government for decades. The governor-elect will need to bring his management skills to bear on this overregulated industry. “Having dedicated my professional life to social work, mental health, and caring for the most vulnerable members of our society, I am humbled and inspired to take on this role,” Sudders said in a statement distributed by Baker. Baker aides said Sudders was not available for an interview Friday. Democratic Attorney General Martha Coakley, Baker’s election opponent, praised the pick. “I have the utmost respect for Marylou Sudders, particularly her work to protect children and improve mental health care for all. I commend Governor-elect Baker for appointing Marylou,” Coakley said in a press release. Most recently, Sudders was one of eight specialists in a range of fields who were called upon by House Speaker Robert A. DeLeo to develop gun-control legislation, which passed into law in August. Last summer, after Governor Deval Patrick reluctantly removed Olga Roche as the head of the embattled DCF, Patrick called on Sudders to serve as one of several advisers to the incoming DCF chief, Erin Deveney, a lawyer with no prior child welfare experience. “Both as commissioner of the Department of Mental Health and executive director of the Massachusetts Society for the Prevention of Cruelty to Children, Massachusetts providers have long worked with Marylou Sudders to improve services for some of the Commonwealth’s most vulnerable populations,” Local 509 president Susan Tousignant said in a statement. Sudders will also oversee the state’s health care website, which failed last October, frustrating consumers and costing millions. And she will have to handle the advent of medical marijuana dispensaries, which have seen a rollout fraught with problems. Judy Meredith, a veteran human services lobbyist who has worked with Sudders for years, said she is adept at diagnosing such problems and developing solutions. Sudders would become the first woman to receive a high-profile post in the Baker administration. He has named three men as his chief of staff, top housing and economic development aide, and energy and environmental affairs secretary. His campaign policy chief, Elizabeth Mahoney, will also have a prominent role within the administration, Baker advisers say. Sudders’ work in mental health dates to 1978, according to her online curriculum vitae. She sits on the state’s Health Policy Commission, a Coakley appointee. She has taught at the Boston College Graduate School of Social Work since 2012. Baker’s choice for the health and human services secretariat has been among his most closely watched selections. A former health and human services chief himself, in the Weld administration, Baker during the campaign was outspoken in his criticism of Patrick’s handling of DCF. During and after the campaign, Baker warned about the cost to taxpayers of implementing the Affordable Care Act.